Early voting will begin in all 67 counties in Florida on Saturday. TALLAHASSEE — More than 2 million Florida voters have cast ballots and Republicans maintain a solid advantage over Democrats in turnout. The blue wave remains mostly a mirage. More Republicans are "bringing it home" so far, in the words of Democratic candidate for governor Andrew Gillum. , according to county-by-county totals on the state Division of Elections web site. Of that total, 43 percent were cast by Republicans (869,649) and 40 percent by Democrats (808,200). That's a successful formula for Republicans in Florida, a deep purple state with a long history of tight elections and sluggish Democratic turnouts in midterms. Fair and mostly sunny weather is predicted across the state Saturday and Sunday. Lee County in Southwest Florida looks like a bellwether of a strong GOP turnout. The Fort Myers area went over 121,000 ballots cast Thursday (a 27 percent turnout so far) and twice as many Republicans have voted so far as have Democrats. Republicans account for 43 percent of the county's voters and Democrats account for 27 percent. That's the county where President Donald J. Trump will rally Republicans to victory next Wednesday. Lee County had a 52.5 percent turnout in the last midterm in 2014. In other words, more than half as many voters have already voted in 2018, and the election is still 11 days away. Across the state, more Democrats than Republicans have received mail ballots for this election, but more Republican voters are returning them — about 60,000 more, so far. (Gov. Rick Scott won a second term four years ago by about 65,000 votes). So far, 49 percent of Republicans have returned their mail ballots compared to 42 percent of Democrats. 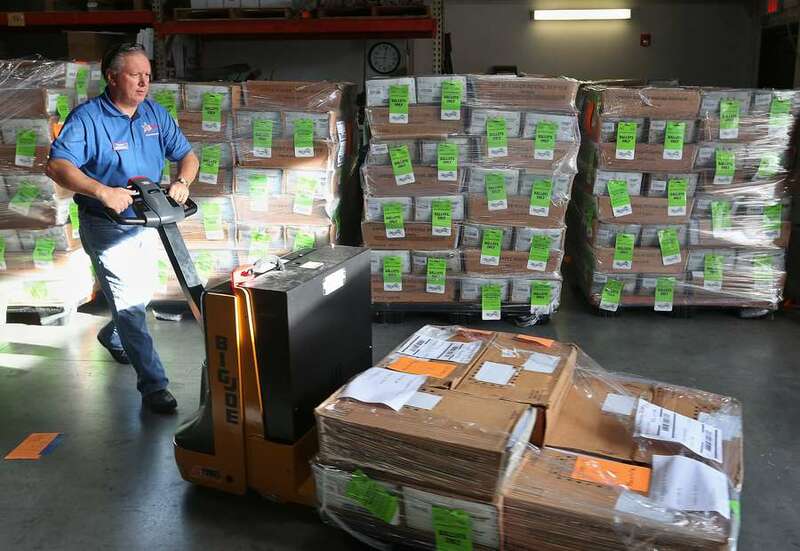 That also means that 58 percent of mail ballots in the hands of Democratic voters have not been returned, compared to 51 percent for Republicans. Early voting begins in all 67 counties on Saturday and will begin in several more Republican counties including Brevard, Citrus, Clay and Pasco. There's still a long way to go, but at the moment it's looking good for Republicans in Florida. 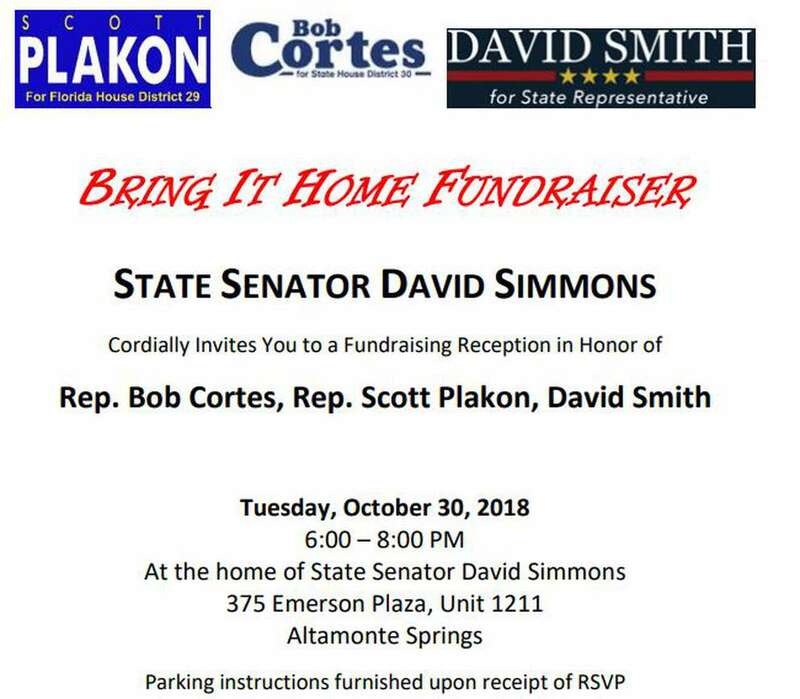 They're confident enough that a trio of legislators have borrowed Gillum's slogan, "Bring it Home," for a fundraiser at Sen. David Simmons' house in suburban Orlando next week.